1. 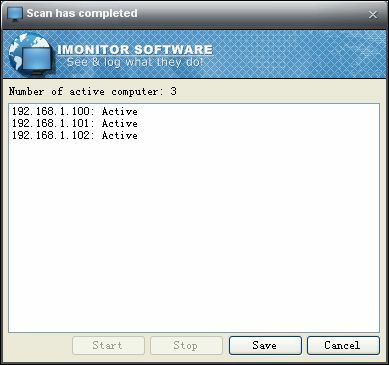 Run IMonitor EAM, click Agent Management -> Scan Network -> Multi-network Setting. 2. 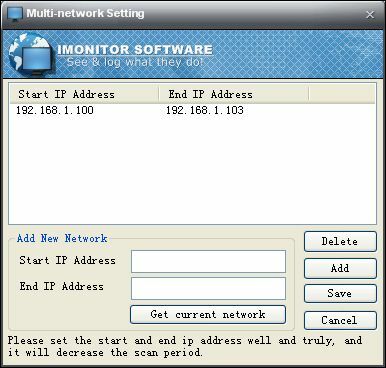 Type start ip address and end ip address and press button "Add". 3. If you have finished the settings please press the button "Save", now a window will appears as below, press button "Start" to start scanning. 4. When the operation was finished the "Save" button will appears as normal, press it and the active network computers will add to database automatically.